After being a professional educator for over two decades, Beth decided to unite her love of teaching with her passion for the ancient and life-changing practice of yoga. Drawn to yoga by a debilitating and chronic back condition, Beth discovered first-hand the healing power of yoga. Beth (RYT500) holds a doctorate in Educational Leadership and is a Level 1 iRest® Yoga Nidra Teacher. She is a Yoga Alliance Certified Educational Provider (YACEP), and a Level 2-Certified Warriors at Ease yoga and meditation teacher, dedicated to bringing the healing power of trauma-sensitive and adaptive yoga and meditation to our military community and beyond. 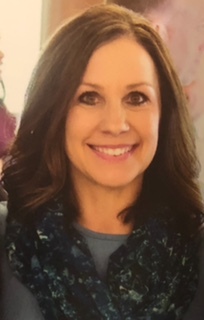 Beth also serves as a curriculum writer and advanced teacher trainer for The Guiding Wellness Institute, and works closely with fellow faculty member, Kelsy Timas. She is a committed practitioner and teacher, and continues to expand and cultivate her own practice by studying with teachers and mentors around the country. She enjoys a variety of yoga disciplines but is particularly drawn to Vinyasa, enjoying the strengthening, empowering, and centering aspects of linking breath to movement. Beth teaches a wide variety of breath and alignment focused classes that are mindfully designed to meet the unique needs of all of her students. Beth hopes to share the life-enhancing power of yoga with as many people as possible, helping them reclaim their strength and light. Beth is the Founder and Director of Life Moves Yoga, LLC.